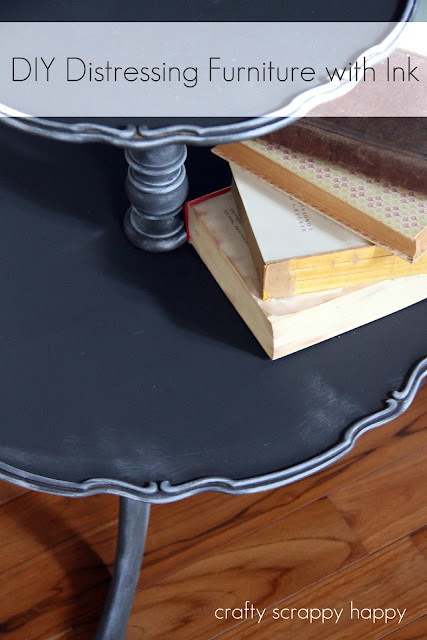 Crafty, Scrappy, Happy: A table up-cycle and DIY distressing with ink! I had a little fun up-cycling this weekend!! and my newest rule is that if I don't love it as it is and I won't up-cycled it, I have to get rid of it. 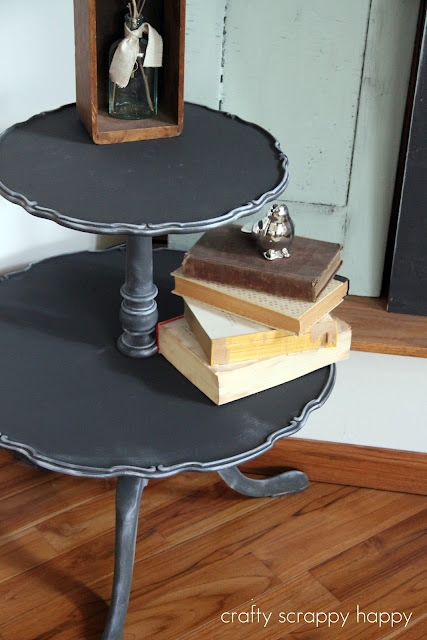 And so that is how this little table got a paint job! And I came up with a technique of distressing without distressing without sand paper or layers of paint. Yep, I just distressed with ink. and it turns out I really really love this little table now. I am so glad that I didn't get rid of it! It started out like this---a garage sale find from last year that was completely neglected. Paint your table and let dry. Use your craft sponge dipped in your white ink to distress by just rubbing along edges of the furniture that you want to highlight. I am linking up to a few of my favorite link parties---be sure to check them out to be inspired!! Jaime Lyn that grey is gorgeous! Love your spring cleaning rules - I'm trying to follow the same, love it, use it or loose it! Nice work on a really cute piece. That looks wonderful! I am so happy you shared this technique! I would love to try it out! I love the shape and style of that table! I love what you did to it too, it looks great! That lokks so beautiful! Best decision to paint it. Lokks so cute now! What a great little table! Using ink sounds like a fun technique and I have some furniture I should try it on. Great job, I have a similar table I've been wanting to paint. 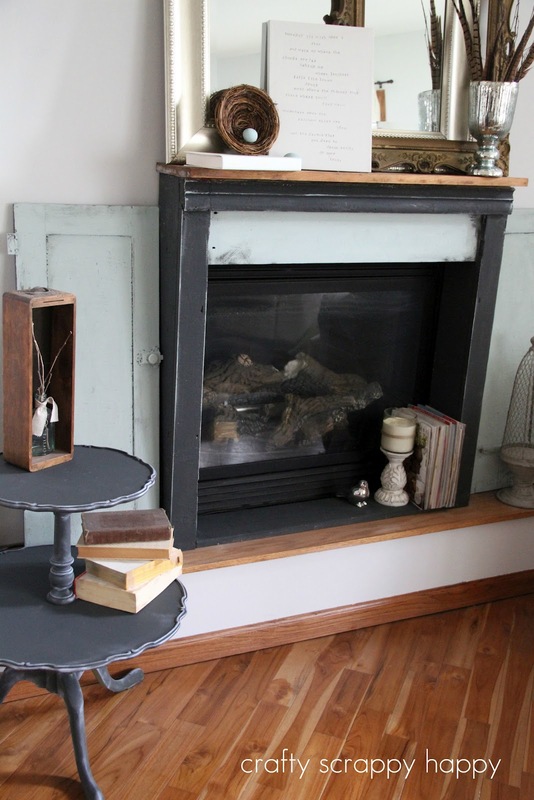 I need to find some of that chalk paint! I love it! It really is amazing what paint or fabric can do to a piece of furniture! I hope you don't mind if I share this on our private Annie Sloan Chalk Paint™ Stockist page...love your outside the box thinking! It looks great, a huge improvement (obviously!) and much easier that all that sanding and staining and waiting! what a unique idea! it looks amazing! What a brilliant idea, I love the way your table is transformed!! Bravo!! Oh wow! I love, love, love this table! 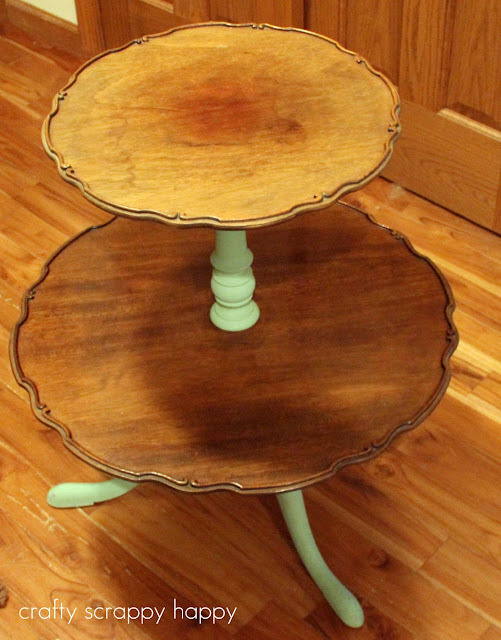 So glad you gave it a face lift and I love the chalk paint out now! Ok, now I have to go hunting for something like this. I just up-cycled and distressed a little coffee table for the first time about a week ago. I love your simple technique by using ink and that table is so unique with it's double stands! I love this awesome little table. You did an amazing job. It is amazing.